THE man suspected of shooting TT Defence Force staff Sgt Ken Palmer dead last Thursday was captured by police in Erin yesterday. Palmer’s common-law wife Radica Pooran, who is related to the suspect, said she is relieved he is in police custody. Palmer was killed in full view of Pooran and their two young children on March 15 when a spat between neighbours at his Dallo Road, Gasparillo home turned deadly. He had been in the TTDF for 20 years. Police confirmed the man had been captured sometime after noon yesterday. They said the 24-year-old suspect was in the area asking about boats to leave the country when he was arrested. Pooran said on Monday, she and her children were removed from their home by police and placed in a safe house as the suspect sent several threatening messages for her. “He sent a message that he is not finished with his mission and he will not rest until he is finished,” she said. “We are scared for our lives, and although I am relieved he was found by police, there are two others who helped him in the murder who are still on the run.” Palmer will be laid to rest tomorrow in La Brea, where he grew up. Pooran said she has been informed his funeral will be done under full military rights. The service will take place at the La Brea Open Bible Church at 1pm. 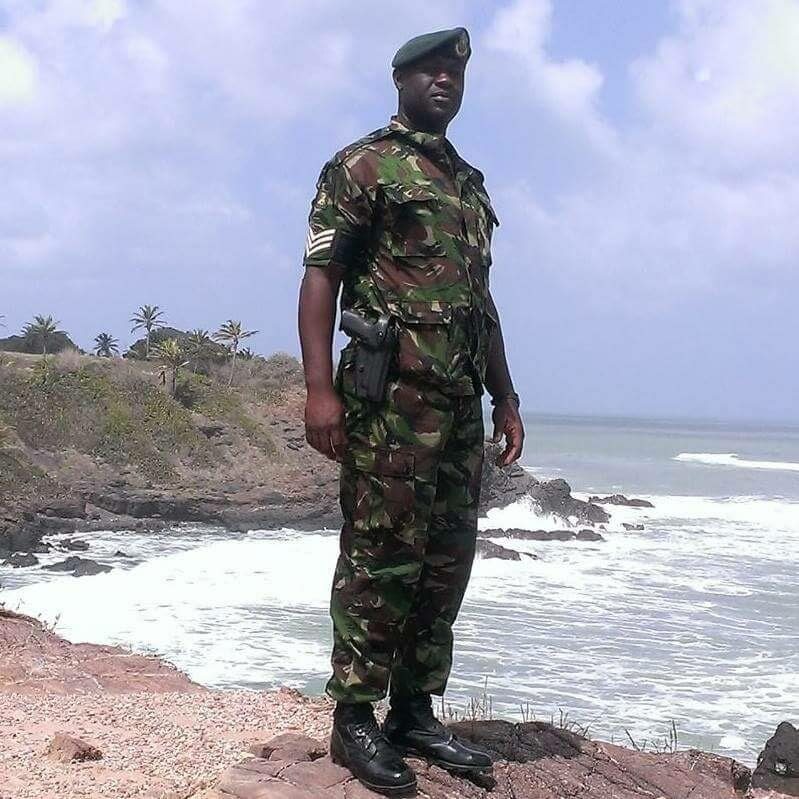 The suspect wanted for the murder of TT Defence Force (TTDF) staff Sgt Ken Palmer was captured by police in Erin today. Palmer was killed in full view of Pooran and their two young children on March 15 when a spat between neighbors at his Dallo Road, Gasparillo home turned deadly. He had been in the TTDF for 20 years. Police confirmed the man had been captured sometime after noon. Police said the 24-year-old suspect was in the area asking about boats to leave the country when he was arrested. Reply to "Suspect in soldier’s killing held"